Wasn't plugged into an antenna, and the frequency was changed after to something more appropriate for the venue. He said it may need some attention, and I hastily pointed him in the direction of Nick BS via this forum after another name was mentioned in the conversation. Funnily enough, it was not for sale, a four figure sum offered from the "another name from above" has been turned down. The only radio I bought was a japanese Amstrad 901 for £1 which I'm just about to find out if it works. Good find mate- how did the 901 fire up? Knew there would be something different turn up at kempton seeing as I couldn't make it! My first callsign was in the G1 LE series. Must have been about 27 years ago as the RAE exam took place at my college (which was handy!). M3VBS wrote: Good find mate- how did the 901 fire up? Greg, I started another thread for the Amstrad. makes me think he's a bit of a knob. What does 'Span' refer to ? Not seen that on them before. UGLY_BOB wrote: What does 'Span' refer to ? Not seen that on them before. I would make an educated guess that it would be the selection of the step ie 10k, 1k, 100Hz like on the Lincoln. UGLY_BOB wrote: What does 'Span' refer to ? Yeah, probably right. The normal Mk V had that on one of the toggles. Interesting. BTW I still can't understand why these radios show A to E for the modes. eg USB, FM etc ? 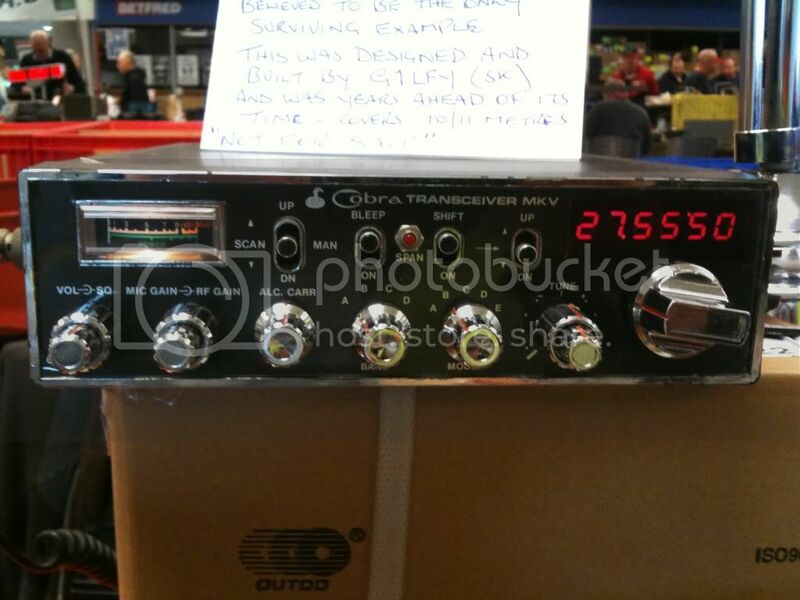 It's not as if the radio has a CB 27/81 sticker or a channel readout? Must be a bit confusing at times.